I cried and I giggled and I cried. What a great book. Just want to wrap Little up, so he knows he is loved and so he can't get away. Great characters. As always JM Dabney has written a great book with fantastic characters. 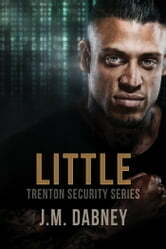 If you love and have enjoyed all the other books across all the series (Brawlers, Twirled World, Executioners and Livingston bk 1 of Trentons) you will love and enjoy this book. Another great book by J. M. Dabney, this time focusing on Harmon Little and Solomon Poe. 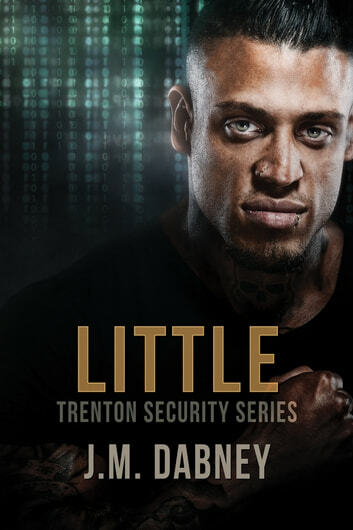 Harmon Little is crazy by anyone's standards. Thrown away when he was a child, bounced from home to home and then living out on the streets, he pretty much had a harsh start to life which has effected how he is as an adult. He has a good job and lots of friends and even those he classes as family, but he feels like something or someone is missing. Here a conversation with Lucky's mum (who you would have met in previous books) about feeling lightening when you've found the one which results in Little kidnapping Solomon. Solomon is quirky and suffers form low body image (mainly die to the fact that he isn't like the rest of his family) but he totally gets Little, even if he was a little apprehensive about being kidnapped.....but who wouldn't? Here starts a really amazing love story between two people who just get each other. There are definite highs and lows in this book and some moments where you just don't know how it is going to work (i.e. when Little has to go undercover) but as usual Ms. Dabney just makes it work between characters and I have to say that this is one of my favourite books that I have read from her. I particularly love Solo's fondness for bow ties which is super cute. There are also moments with characters form previous books that made me smile and laugh out loud. If you haven't read a J. M. Dabney book before, you need to start as you are missing out on a brilliant writer!